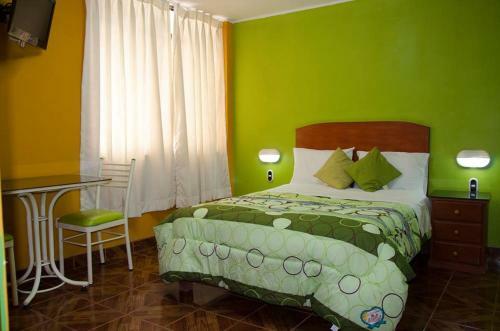 Only 100 metres from the Main Square, Hostal Real Alcazar Provides rooms with free Plasma and Wi-Fi TVs in Nazca. Nazca Boulevard is 120 metres away.Decorated with tiled flooring and lively-coloured walls, rooms in Hostal Real Alcazar are very bright. 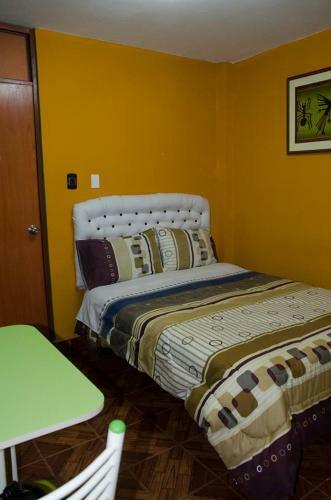 All of them have private bathrooms.Breakfast is served daily.Hostal Real Alcazar is just 1 km from the bus terminal. Economy Double Room - Non-refundable - This room features a private bathroom, cable TV and free toiletries. Economy Double Room - This room features a private bathroom, cable TV and free toiletries. Twin Room - Features LCD TV and private bathroom. Breakfast is included. Standard Double Room - Features plasma TV and private bathroom. Triple Room - Features plasma TV and private bathroom. Standard Family Room - This family room features a tile/marble floor.